TASC Colors.com is proud to offer a full 90-day history of the all colors called by Treatment Assessment Screening Center, Inc (TASC Arizona). Now you can see the exact days your color is called, how often in three months it was called and better understand what the rest of your time on TASC will look like. Please Note: This is not the full Survival Guide and does not include a comprehensive snap shot of how frequent the colors have been called, nor the information. 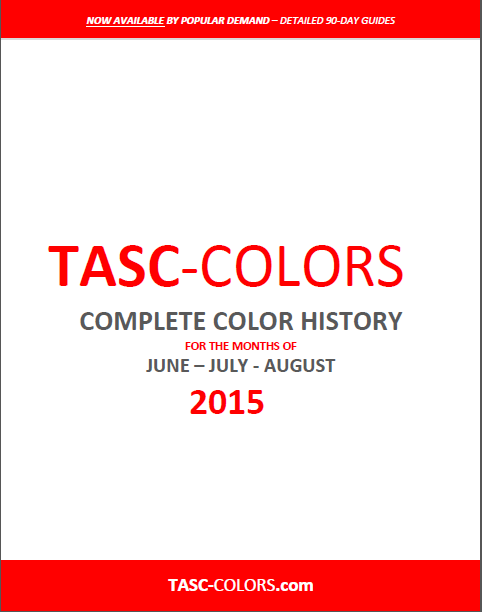 This document contains each and every color called on their respected dates between June 1 - August 31, 2015.